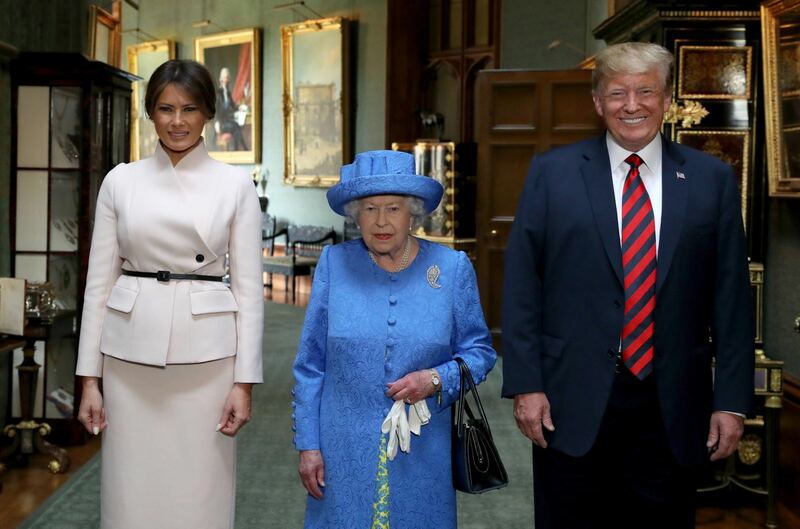 Today The Queen met the President of the United States of America and Mrs Melania Trump at Windsor Castle. 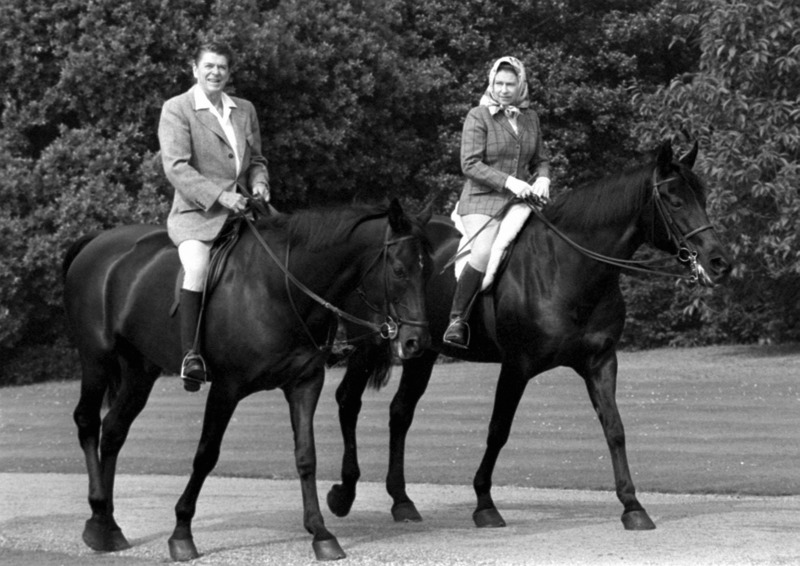 Her Majesty has received three other Presidents of the United States at Windsor in recent times. In 1982 President Reagan and Mrs Reagan visited the Castle. 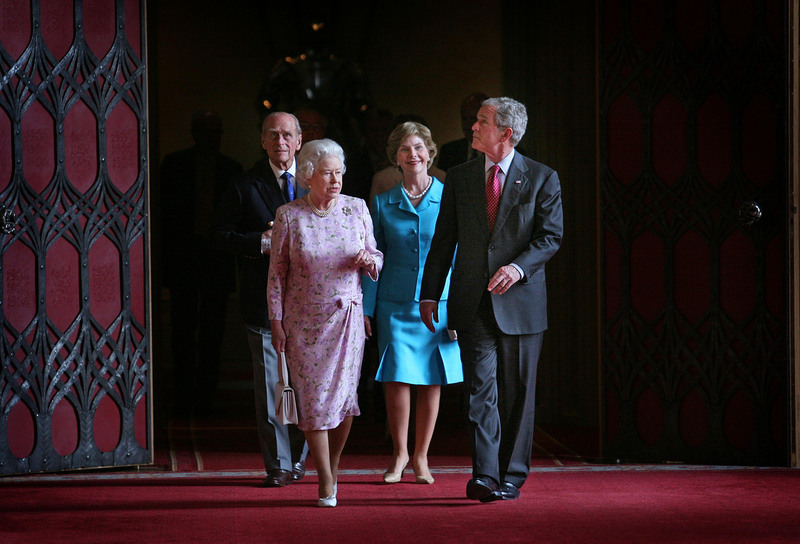 In 2008, President George W. Bush and Mrs Bush met The Queen and The Duke of Edinburgh at Windsor Castle. In 2016 President Obama and Mrs Obama visited the Castle. 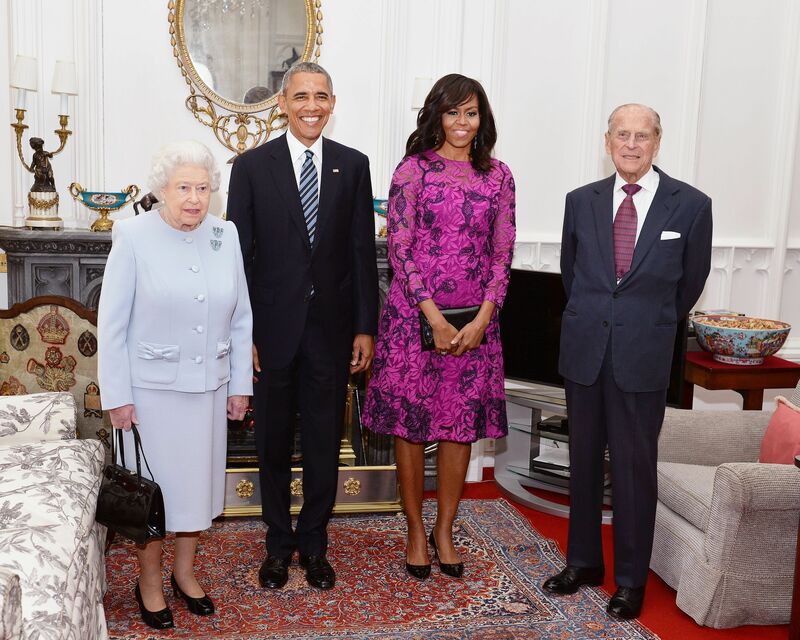 During Her reign The Queen has met eleven serving US Presidents. 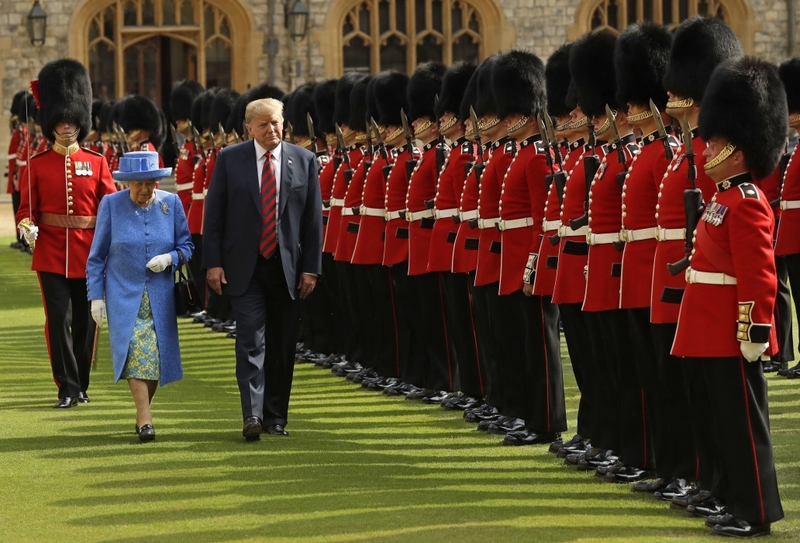 Her Majesty welcomes the President and Mrs Trump in the Quadrangle of the Castle. A Guard of Honour gives a Royal Salute and the US National Anthem is played by the band formed of personnel from the Coldstream and Grenadier Guards. The Queen and the President inspect the Guard of Honour, formed of the Coldstream Guards. The 1st Battalion Coldstream Guards is one of the British Army's longest serving units and The Band of the Coldstream Guards is one of the oldest and best-known military marching bands in the world. As well as operational duties, the Coldstream Guards also have a ceremonial role as The Queen's Guard, protecting the Royal Palaces, including Windsor Castle and Buckingham Palace.